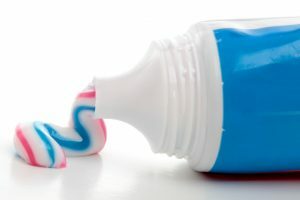 Are you tired of living with the complications of tooth loss? 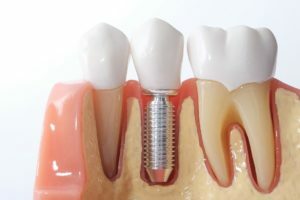 If so, you have probably considered all your replacement options, but have found that dental implants are the most preferred and effective solution. However, the procedure to get them does require surgery and a lengthy treatment process with your dental implant dentist in Arlington. It is natural to have questions and concerns. At Allheart Dental, we want you to feel confident about your decision. We have everything you need to know about the treatment to put your worries at ease. 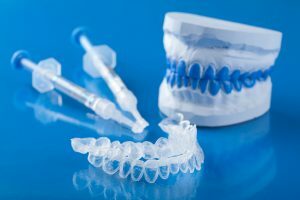 The alignment of your teeth plays an important role in your confidence; however, aesthetics is not the only reason a straight smile is important. When you live with misalignment issues, the teeth are more difficult to clean, making you more prone to tooth decay and gum disease. Not to mention, you have an increased risk for dental injuries due to protruding teeth. You can also develop disorders of the temporomandibular joint if your bite does not properly align. To improve your quality of life and self-esteem, Allheart Dental Care offers the solutions you need. 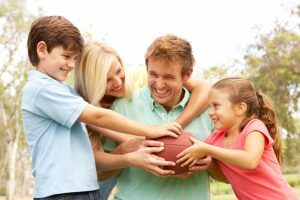 As your Red Oak orthodontist, we offer treatments for children, teens, and adults to get a healthy, straight smile. When getting a cosmetic dental treatment, you want the most effective and safest result. Your Red Oak dentist at Allheart Dental offers outstanding teeth whitening. Professionally supervised, teeth brighten by several shades of color without any of the safety or effectiveness concerns of over-the-counter whitening systems. It’s the start of football season in North Texas, and we’re excited to see our favorite teams in action once again. But as your Arlington emergency dentist, the team at Allheart Dental is also gearing up for the dental injuries that come along this time of year. From knocked out teeth to tooth fractures, oral lacerations, and more, it’s stressful when something goes wrong with your oral health — and it can happen at any time. Knowing what to do next can help. Braces: they’re not just for tweens. Straight teeth are crucial at any age, and it’s about more than self-confidence — it’s about your oral health, too. Put simply, straight teeth fit together properly and are easier to clean. 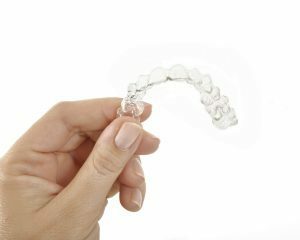 So if you or a loved one are dealing with crowded, gapped or otherwise misaligned teeth, keep reading to learn more about your options with orthodontics in Arlington, at Allheart Dental Care’s brand new office. We’ve got solutions for patients of all ages. Which one is right for you? Your smile is often the first thing that others notice about you, and a gorgeous, confident smile is the one facial feature that leaves a lasting impression long after initial introductions. If your smile is marred by cosmetic flaws – including gaps, chips, and yellow enamel – you may find yourself hesitant to show it off to the people who matter most in your life. At Allheart Dental in Red Oak, TX, our dedicated cosmetic dentistry team offers a wide variety of solutions designed to help you achieve your ideal smile, including porcelain veneers. Your porcelain veneers are custom-crafted with your most lustrous, brilliant smile in mind. In fact, we invite you to bring a few photos of smiles that you particularly admire to your consultation. Our team will listen to your specific needs and expectations regarding your treatment so that we can create the perfect smile just for you. Are you dissatisfied with what you see in the mirror when you smile? Would you love to feel confident in your appearance without the need for complex cosmetic procedures? With porcelain veneers at Allheart Dental, you can finally enjoy the innumerable benefits of a flawlessly beautiful smile that shines as brightly as your personality. Contact our office in Red Oak, TX today to schedule your cosmetic dentistry consultation with our caring, highly-educated team, and experience the difference our patient-centric approach can make in your next dental visit. We genuinely look forward to welcoming you and your family to our state-of-the-art dental practice. Conveniently located in Red Oak, TX, we are privileged to serve the communities of Lancaster, Desoto, Glenn Heights, Ovilla, Waxahachie, Ferris, the DFW Metroplex, and more.